Drop-Off Location Addresses: Stop in at our Portland Showroom at 8112 SE Foster Rd. 97206 or visit our Tigard Showroom at 11945 SW Pacific Hwy. 97223. Come in and see the decorated barrels in person and drop-off one can of food or a whole grocery bag of donations. Voting will take place on Facebook. In addition to bragging rights the ‘Winning Store’ will be awarded a trophy and online Badge. The contest will last for 12 months with a different theme every month. • Area Floors is the ONLY year-round drop off point on in South Washington County. • During fiscal year 2010-11, emergency food box distribution in Washington County increased by 13 percent and continues to rise. 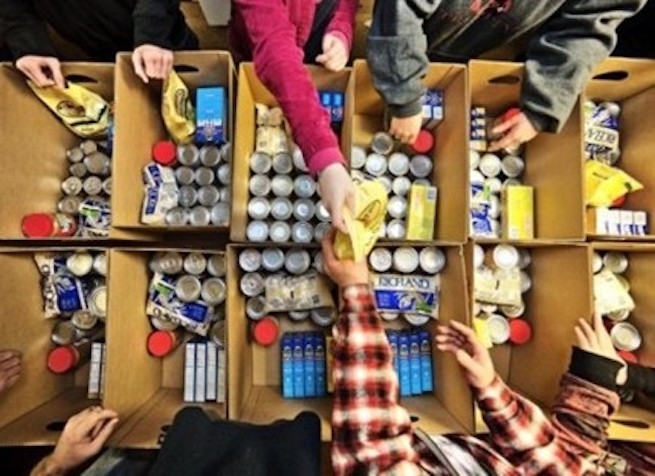 •Washington County Services distributes more than 400,000 pounds of food per month to more than 85 Washington County hunger-relief agencies and seven supplemental programs. •More than 260,000 people each month who eat meals from emergency food boxes.